This program aims to ensure that the industry’s products and services are fit-for-purpose, appropriately aligned to market needs and better communicated to key influencers. This has always been a major part of the company’s focus and that of its predecessor, Forest and Wood Products Research and Development Corporation (FWPRDC). Research is undertaken to understand current market needs and trends which assists in identifying information gaps and opportunities for new or modified products and systems for the built environment, industrial markets and other important customer segments. A focus will be on better aligning product performance (e. g., strength, durability and aesthetics) to market needs. The program is effectively an information conduit from, and to, the market. Market needs are determined through research, international experience, product testing and feedback from stakeholders. This information can be utilised by industry participants in the development of their products and services. The information can also assist end users and specifiers in the use and application of wood-based products. 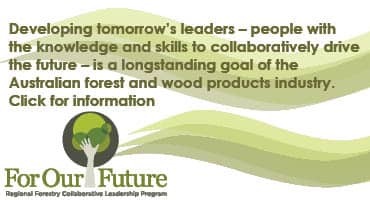 The program facilitates the flow of information to the market through WoodSolutions™, the company’s branded platform, and by contributing to the development and communication of building codes and standards.